Same thing here.. trying to get back into the wagon.. I must say that I used the last few days to clean up my library and whenever I take photos I tend to sort them as soon as possible. Because in the last years many photos have been downloaded to my pc and stayed untouched since. 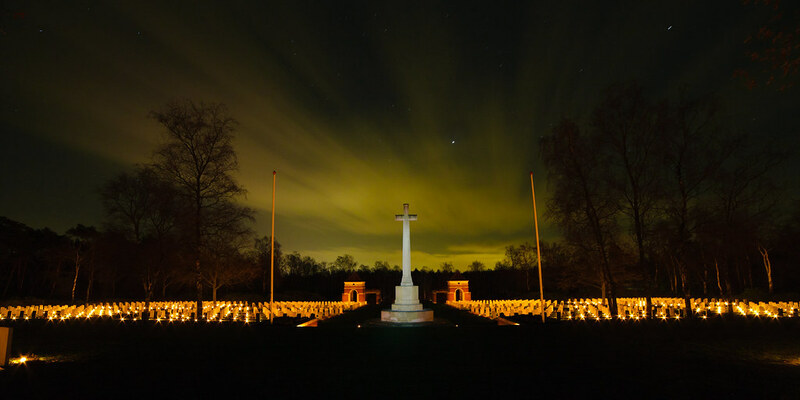 Took this photo at Christmas Eve at the Canadian War Cemetary. At Christmas Eve all schoolchildren light candles at all the graves (1396) to remember the people that died for us in WOII. 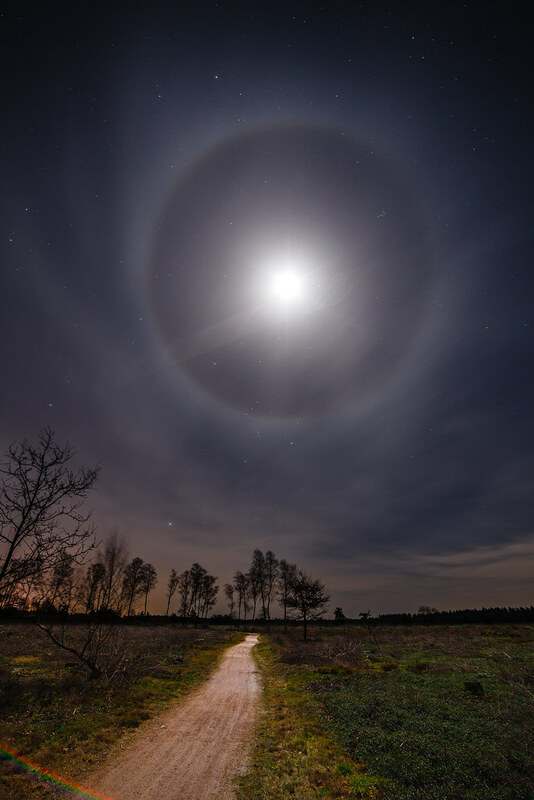 And last night I took my bike for a nightride(late evening) and I spotted this halo I'd never seen before. Since it was quite windy it was vanished in minutes, but I got lucky. Jan, that halo is cool. I have only witnessed that once in my life. Lucky you caught it. Thanks Jayson, I had never seen it before. I must say that it was beautiful, but also vanished before I could take some more shots. I am usually happy if I get one good shot to capture an event. If you do that with one shot, do you really need another 10? Great shot. I really like nightscapes that show this kind of detail. There is one thing that I would have liked if it wasn't there and that is the airplane trail from right to left through the moon. It was very windy so it vanished quite fast and therefor it is quite a wide trail in the photo. If the halo would not have vanished as fast as the trail I would have been an even happier man. These are great shot Jan! 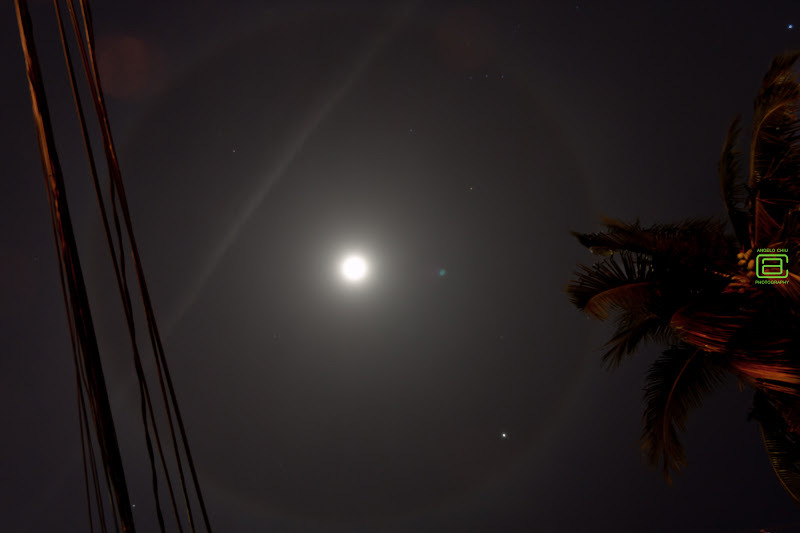 I remember taking a photo of a moon halo also but I was only able to capture part of it due to limitations but was able to capture a jet stream. Still yours look better, Jan! Not to be on the too critical side, but the "rainbow" at the lower left is a bit distracting. Does anybody know if there exists tools for removing such lens artefacts? The picture would be close to perfect without it.